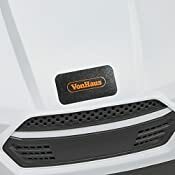 Paving the way in yard/lawn maintenance, this VonHaus Dethatcher and Aerator is the tool you can rely on to promote healthier, greener grass. 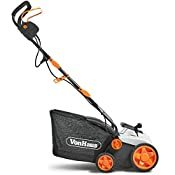 With this 2 in 1 scarifier and aerator, you can sweep away moss and debris to prevent lawn diseases, and permeate your soil to improve drainage - all by effortlessly pushing this easy to use tool across your lawn. Choose from 5 depth settings to suit the condition of your lawn and the time of year. 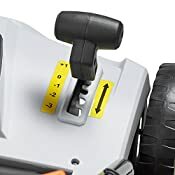 Use the adjustable lever to select any setting between -0.59" and 0.1". 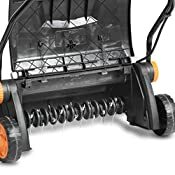 The 2-in-1 roller works firstly by removing unwanted moss, weeds and plant debris from the surface of your lawn and cutting out the compact layer of thatch and moss that starves your lawn of vital nutrients and air. 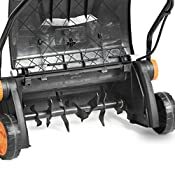 It also boasts an aerating function, which perforates compact layers of soil by creating small holes. This improves the circulation of water, nutrients and air to grass roots, promoting the growth of healthier thicker grass. 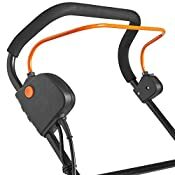 Unlike manual raking, this clever tool will collect all the top layer debris. To dispose of the garden waste simply detach the box from the rest of the unit. Please note: No load running speed refers to total power discharge with no mechanical load. The run speed will vary depending on the load required for each project. 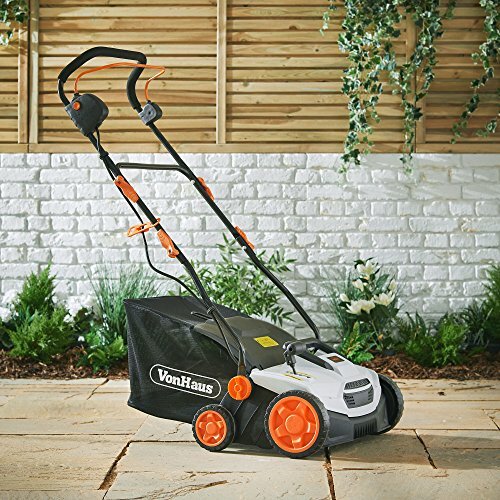 COMPACT FOR STORAGE - folding handle and removable grass box for convenient storage. Free 2 year manufacturer warranty included.